We Drink Your Milkshake! 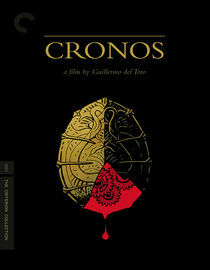 : Cool Netflix Instant TV Shows & Movies- Criterion Edition! Cool Netflix Instant TV Shows & Movies- Criterion Edition! I'm gonna get all fancy today. All of these selections are a precious commodity because they are titles from the Criterion Collection. I say that because the entire Criterion Collection will be exclusive to Hulu Plus by the end of the year. So check out these titles while you still can! This is an easy entry into the world of Criterion as it is very similar to last year's ballet horror movie by director Darren Aronofsky, BLACK SWAN. It tells the story of a ballerina who is torn between her love of a laid back composer and her responsibility to her director and company that made her a star. 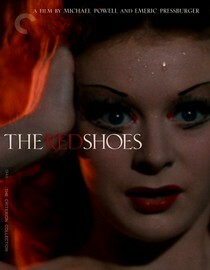 The movie is shot in really beautiful bright colors, and lead actress Moira Shearer dances exquisitely. This is the movie that was unfortunately adapted and butchered as NINE. 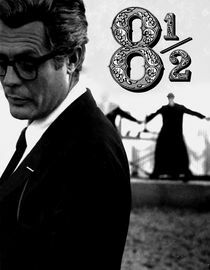 The story tells of tired and artistically exhausted director Guido Anselmi (who is a slightly autobiographical character based on Director Federico Fellini himself) as he deals with creative roadblocks and dealing with his past lovers while being pressured to deliver the next big hit movie. Since it is in black and white, I suggest watching it in HD. Nevertheless, this is a fascinating account of the creative process in terms of movie making. One of my all-time favorite directors, Guillermo Del Toro, has a very unique aesthetic and style. Criterion managed to get his first film for which I am so glad that they did. The story shows us aging antique dealer, Jesus, as he uncovers a very precious and mysterious artifact that grants eternal life at a cost. The production values don't match those of Del Toro's later works, such as PAN'S LABYRINTH, but you can see the seeds of themes he will explore later in his career, such as Ron Perlman, lovable monsters, children being made to witness horrible things, death, and damn creepy machinery. One of my favorite movies on Instant right now. That's it for this week guys! As always comments are welcome. We're excited to help people discover their new favorite movies.